Bathurst and Group C title wins earned Holden’s LX Torana A9X legendary status. 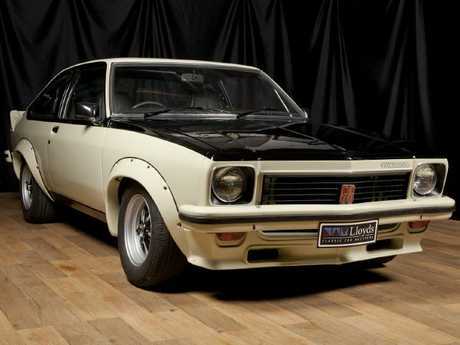 A RARE four-door Holden Torana SLR5000 A9X - the very first off the production line in 1977 - has sold for an Australian record price of $365,000 at Lloyds Auctions on the Gold Coast over the weekend. Bill Freeman, lead auctioneer from Lloyd's Auctions and Valuers, said the price achieved at Saturday's auction was more than double the previous record. 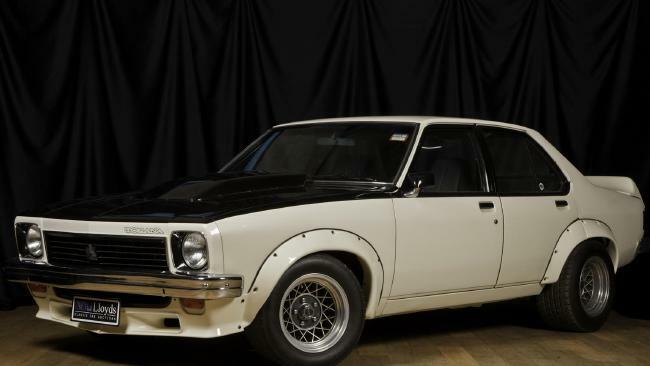 "The highest price at auction for a four-door A9X Torana was $165,000, so we've more than doubled the previous record, which is very exciting for the owner and for Torana investors around Australia," Mr Freeman said. "This sale shows the buyer interest in the Torana A9X market is continuing to grow, which is great news for Holden classic car owners everywhere." "There was an incredible amount of interest in the car in the lead up to the auction, with our online video going viral, with more than 1.5 million." The Torana has an incredible history as a Holden 'press car' and was a treasured collector's item for the previous owner, who passed away last year. 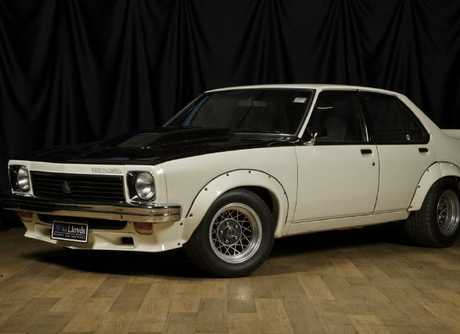 "This car is the holy grail of Toranas. It was the very first Holden Torana A9X sedan off the production line in 1977 and it's got the paperwork to prove it," Mr Freeman said. "The car then became the General Motors 'press car', meaning all the motoring scribes of the day took the car on road tests. It also went on display around New South Wales and Victoria. "It's got excellent paperwork history, along with photos of the original 'press test' drive at Calder Park Raceway in Melbourne. "It's been in the same family for many years, and was sold in honour of the owner, who's mother entrusted Lloyd's with such a sentimental sale of a prized piece of Holden motoring history." The vehicle was owned by enthusiast Mark Broadhead, who sadly died last year. 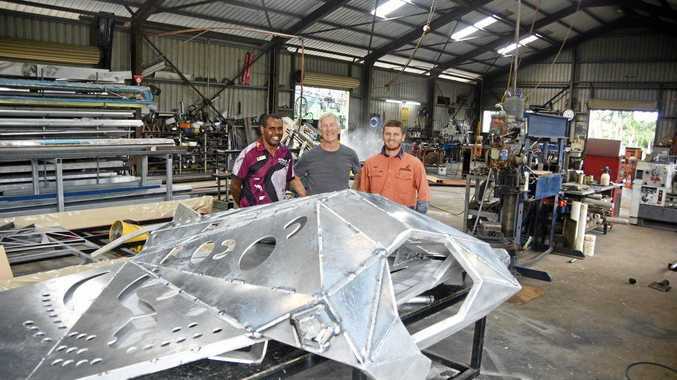 He left the prized Torana to his mother, Susan Swain. Peter Brock rated the LX A9X as the best race car he ever drove and it was the vehicle he and Jim Richards used to smash the opposition by six laps at Bathurst in 1979, setting a record on the last lap in the process. This 1977 LX Torana A9X has a full history and still carries the original NSW numberplate IYL 155 that was registered on October 11, 1977. Just 305 sedans and 100 hatches were sold to the public to comply with the homologation requirements needed to race the car in Group C competition - and very few survive intact. The existing $275,000 record had been achieved by a street-legal A9X, set at the Shannons Autumn Auction in Sydney earlier this month for a car with 94,184km on the odometer. The A9X was sold as in sedan and SS hatch form as pictured. The outright record is $744,000 for the A9X hatch Bob Morris drove to victory at Bathurst in 1979. A similar car driven by Sir Jack Brabham is tipped to sell for more than $500,000 when it goes under the hammer at du Plessis auction in Adelaide on Sunday.